We sought out a few tide pool books to reinforce our hands-on observations from our recent exploration along the Pacific coast, to understand more about the amazing inhabitants of the coastal tide pools like periwinkles, urchins, barnacles, mussels, anemones, chitons, and starfish among others, learning that Sea Star is a more appropriate name and not Starfish as it is not really a fish. The only thing that confused the 7 year old (and me) was whether "tidepool" is one compound word or should it be two separate words, "tide pool", or perhaps hyphenated," tide-pool"? Among the literature we found, all of the above are used interchangeably and deemed acceptable. Dear Two-Armed Explorer, the book opens, with a full-page message from our five-armed buddy, Sea Star, about its habitat, the tidepool. 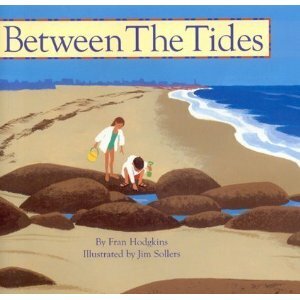 The illustrations are gorgeous leading us from the coastline of pounding waves to little pockets of water filled by tides where wondrous creatures thrive. We liked the repetitive text and the illustrations. The book has cumulative rhyming text - we start with barnacles, then fish, then anemones and so on... as we progress the verses grow as well, just describing the tidepool scene with its inhabitants in brief sentences. Though not a book to get detailed information about these creatures, the crisp lines highlight the characteristics of each animal well. Twice a day, the sea recedes leaving the sea creatures out on the shore to fend for themselves until they can get back in the ocean again. What happens when the tide is low? How do the creatures manage without water? That is what this book explores in a child-friendly way, with just enough details so as not to overwhelm. keep a little bit of the sea with you. We learn that the Blue Mussel traps a bit of sea water and closes tight when the sea recedes, not much water, but enough for it to survive till the tide comes back. The large full page illustrations and short simple text makes it a wonderful read for the four year old. What attracted me to this book was the young author - she was 13 when she wrote this book. Her first book was authored at age 11! 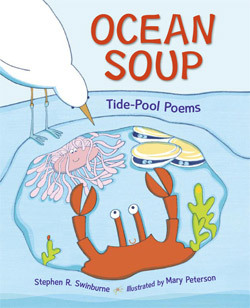 Simple direct text is descriptive yet brief, presenting fun facts about periwinkles, sea slugs and other tide pool creatures. The illustrations are vivid and colorful, bringing the ocean to life. The gorgeous illustrations attracted me to the book, and the story it revealed fascinated not just the kids but me as well. 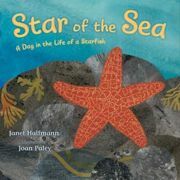 A day in the life of a starfish sea star. Its tiny tube-like feet on the underside helps it move, albeit very slowly. She inches her way towards a bed of mussels. But how can she eat it when the hard shell protects them? We learn that she uses her strong rays (arms) to pry apart the stubbornly closed mussel shell, and as soon as there is a small enough crack she extends her stomach right out of her mouth and into the tiny crack. Slowly, the mussel's small body into liquid right inside the shell. when she has thus done eating, only the empty mussel shell remains. Another fascinating fact we learnt is that sea stars can have any number of rays or arms, not just five as it traditionally depicted. And when she loses a ray, she can grow it back over a period of time. Back of the book has further information like how sea star babies come about, and the eyespots at the tip of the ray that helps it tell light from dark and so on. Cartoon style comic illustrations and short rhyming verses makes this a fun book to read aloud. As the book's website says, Crabs will pinch and urchins poke. It's rough out there - no joke! Sea slug being one of the favorites that excites the four year old, Hello my name is Doris. I am a shell-less gastropod, but you can call me Doris if gastropod is odd, got memorized first. Wow ! What a beautiful collection. I am sure my five year old will really enjoy these kind of books. But the sad thing is that I don't think I will get to see any of these books in my "regular" library here in India. I so wish that we have a public library like the US, where we have access to so many wonderful books. 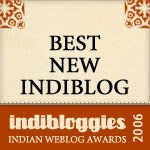 Hippocampus(here in Blore) is one of the best libraries as far as Picture books are concerned. But even then there is a limit on the kind of books available here.